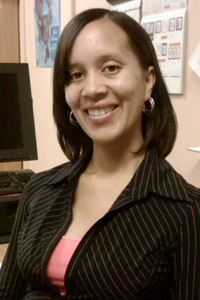 Mrs. Monique Bell, is an Adjunct Assistant Professor at the USC Rossier School of Education. In addition to teaching in the school’s Master of Arts in Teaching program, Mrs. Bell works as Title I Coordinator at Tom Bradley Global Awareness Magnet. Her expertise includes engaging and inspiring African American students, education for gifted students, differentiated curriculum in depth and complexity, and culturally relevant and responsive instruction. Mrs. Bell has worked in education for over 16 years as a teacher, coordinator, and advocate for children in South Los Angeles. She is also the co-founder/CFO of her own non-profit organization, Just Teach! which focuses its efforts on building the academic self-confidence and ability of children in South LA through mentorship, academics, and enrichment. Monique continues to work in the community where she grew up and strives to inspire the children living there to reach their highest potential and develop a true joy of learning. Mrs. Bell is a graduate of the University of California at Los Angeles (UCLA) where she earned a Bachelor of Arts degree in History and earned her Master of Arts degree in Education from Pepperdine University.